Hello, two years ago I asked for this basic and needed feature to be integrated in android and it seems it is still not implemented and I was told you where working on it...haha. Could you please tell us when are you planning to develop it so we can switch to another streaming service if you´re not planning to do so? 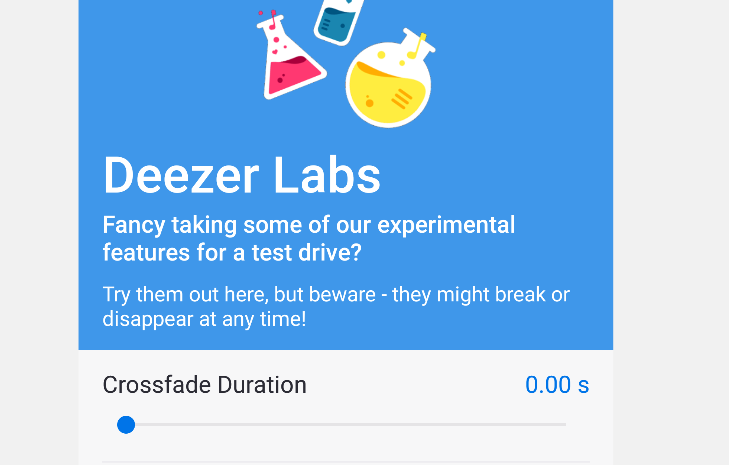 Crossfade is already available in deezer labs (go to Settings > Deezer Labs) and on top you should have something called Crossfade Duration. However this is not available on all devices, especially old ones do not have this feature. Just have a check in your settings! Hope this corresponds to your needs. I have a Huawei GX8 (February 2016), which is not too old, and in Deezer labs there's no cross-fade option. Is there any other option to have the cross-fade option please? 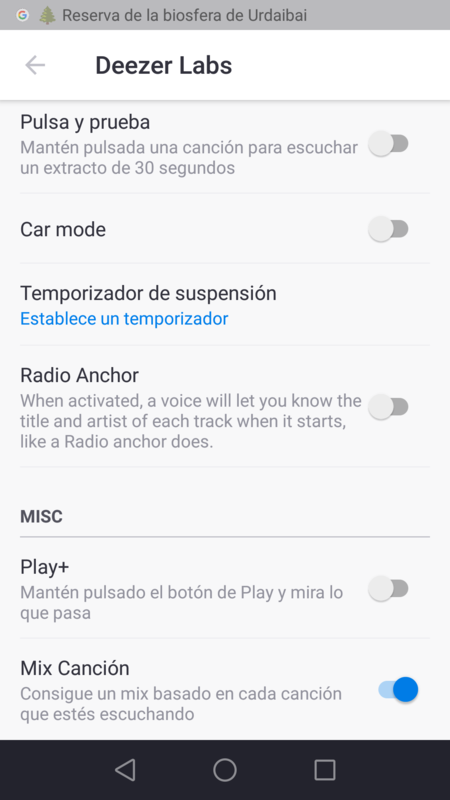 I have Deezer family subscription and absolutely need this feature in my android phone. I'm hoping it becomes more stable as it's highly voted for on the "Got an Idea" page and a basic function that the competition has. @Juls281 are you using the beta version of the app? If, yes that would mean unfortunately that your phone is not eligible to this feature. @Rob Igo are you on the beta version of the app? I was I've had phone problems and had to do a factory reset this morning, I've requested the beta version again today (I know it can take a few hours to come through). 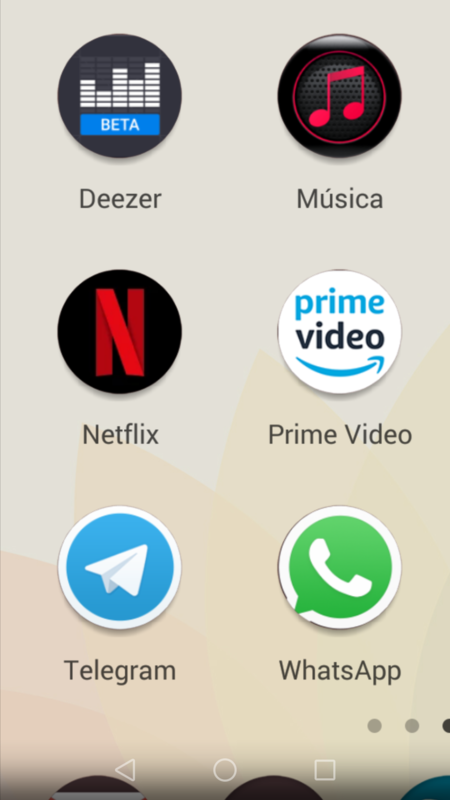 when I'm on the google app store it says "No eligible devices for app install" though the app store says "You are a tester"
I'm using Deezer normal version, not beta. The following figure shows the version of the installed applications in my phone. I have never seen the cross-fade option in Deezer labs. I need this feature please! I can't believe my phone doesn't support the cross fade option. 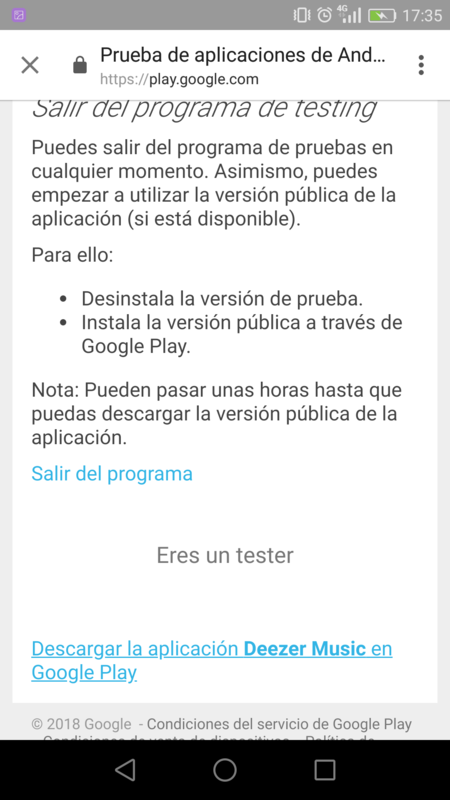 Aready configure myself as a tester to see if new features appear in the app but nothing new. As you can see I'm already a tester but the beta version is instill not configured in my android phone. I have the same problem. I did have the beta version on my phone but this week I had to to a factory reset. Since then even though it says I'm a beta tester I only have the normal version of android Deezer available to me. So, is there a solution to this issue/bug? If you register to the beta test program only this week, it's normal that you can't download any beta version of the app yet. You should wait that we upload a new beta to the program. And the next beta will be out at the end of the week. I never knew that! Fantastic! thanks for letting us know! Do you know if a list of the "enough recent" devices compatible with the crossfade option exists, so that we could know if we can use this function (even with the beta version...)? S ai have already updated to beta (click multiple times in the app version to unlock the developer options and select the correct version) and to my surprise there's no cross-fade. 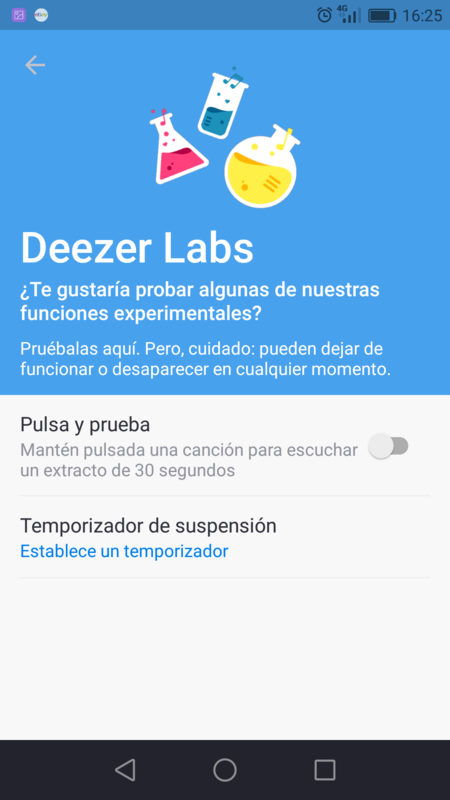 Here my screenshots of thedeezer beta version and the Deezer labs version of the beta, with no cross-fade. So, is this a joke? A 2016 phone with Android 6 does not support the cross-fade option?????? What? I'm the same, got the beta yesterday and no crossfade, running an 2 year old phone with Android 7.1.1. We are really sorry that you don't have this feature enable on your phone. Could you please tell us which kind of phone (brand & model) do you have in order to make it work if we can for a next beta ? it's about 2.5 years old. If you need any further info off the phone please ask! I'd love to have cross fade back! Thanks, my phone is a Huawei GX8 with Android 6.0. Thumbs up if you can fix this for next beta version! I just wanted to you let you know (in case it helps you) - if I restart my phone then crossfade is an option and works. Once I then close the app - when I go back to it later the crossfade option is no longer there? As Rob Igo, I have a Moto G4 Plus (2 year old device running Android 7.0) and the crossfade option is not available, even after restarting the device. 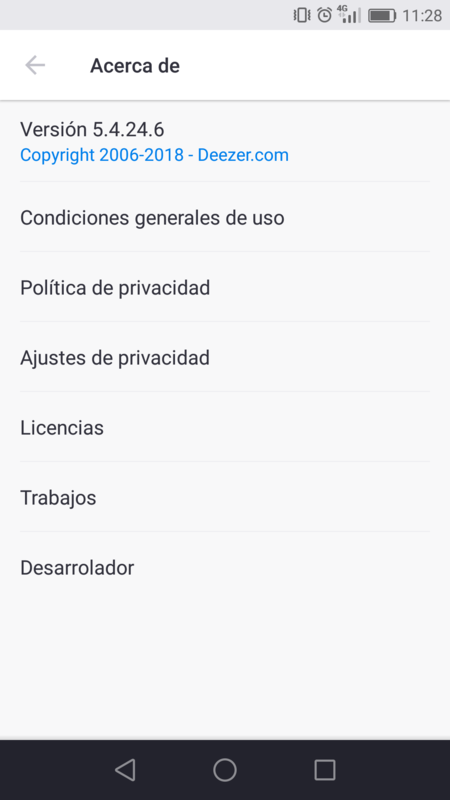 As Rob Igo, I have a samsung galaxy a5 ( running Android 6.0.1) and the crossfade option is not available in deezer beta version, even after restarting the device.